Some shoppers are reporting that they’re having trouble with the just launched Nokia Lumia 900. As we mentioned last week, Nokia and Windows have a lot riding on the new Windows smart phone. The phone was launched with high expectations yesterday. But being Easter Sunday, many brick-and-mortar AT&T and Microsoft stores were closed, which meant it was only available online. That’s a rather strange way to launch the phone that both these companies have a high stake in. Nevertheless, shoppers are jumping online to buy the phone. 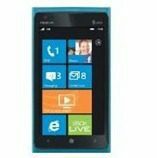 Amazon listed the Nokia Lumia 900 at the top of their bestsellers list for ‘cell phones with service plans’ on and off throughout the day. While it certainly does not appear to be an issue that affects the majority of phones, many users of the new phone are reporting trouble connecting to AT&T’s data network. A thread started on Nokia’s forums yesterday had the title “::::URGENT:::::LUMIA 900 HAS NO CARRIER’S DATA CONNECTION (AT&T) !” And there have been about 18 replies as of Monday evening with most of them saying they are having the same issue. Only 18 replies is not nearly the trouble we have seen after some product launches, which sometimes have hundreds of online complaints if there are technical issues post-launch. But it is something we will keep an eye on. There are complaints on the other forms as well, and PhoneArena.com has reported on a solution that some users say has resolved the problem on their phones. The connectivity issue doesn’t seem to be affecting the smart phones ratings on Amazon.com. With 57 reviews to date, it has scored five out of five stars.